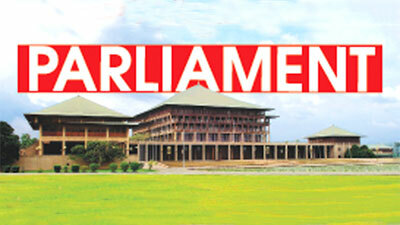 Speaker Karu Jayasuriya yesterday in a statement requested the general public and the House to abstain from using disability related terms with negative connotations. “The statement follows a written request handed over by Disability Organizations Joint Front to the Speaker of the House,” Jayasuriya said. Speaker Jayasuriya stated that the written request appeals to him to raise awareness among the general public on the importance of not using such derogatory terms related to physical or otherwise disabilities considering the negative psychological effects such terms have on people suffering from disabilities. All disabilities are caused either by birth or from accidents, and it is but unjust to cause more stress to them, Speaker Jayasuriya observed. Accordingly, Speaker Jayasuriya stressed the importance of refraining from such abusive language and respect persons with disabilities. One hundred and eighteen persons have died during pilgrimages to Dambadiwa in India from the year 2018 to date, it was revealed in Parliament yesterday. Responding to a question raised by UNP Badulla District MP Chaminda Wijesiri, Chief Government Whip Minister Gayantha Karunathilake said that it is not relevant for the Ministry of Buddhasasana and Wayamba Development to take any steps for the welfare of families of persons who had died during pilgrimages to Dambadiwa. Minister Karunatilake made these observations on behalf of Buddhasasana and Wayamba Development Minister, in response to an oral question by UNP MP Chaminda Wijesiri. There are 197 individuals and institutions authorized to organize pilgrimages to Dambadiwa, it was revealed. MP Wijesiri pointed out that most of the time it was the older citizens of this country who engage in the Dambadiwa pilgrimage and some of them do so after selling off their properties owing to their faith in Buddhism and thinking that it is a meritorious act. “There are certain unscrupulous elements who capitalise by misleading these people. They disguise themselves as legal institutions but some of them are not even registered properly. Could the Ministry initiate a new programme to make such institutions insure all the devotees that they would take to India,” MP Wijesiri inquired. Chief Government Whip Minister Karunathilake said that he would bring the matter to the notice of the Minister of Buddhasasana and Wayamba Development. Taking disciplinary action against two Sri Lanka Rupavahini Corporation (SLRC) employees on the basis of reports on their involvement in a brawl at the corporation premises on October 26, last year and against another for allegedly defaming the senior management should not and cannot be described as a witch-hunt of Trade Union leaders in the Rupavahini Corporation, Mass Media Non Cabinet Minister Ruwan Wijewardene told Parliament yesterday. “Taking disciplinary action had been done in accordance with the accepted procedures and protocols and there was nothing outside procedural responding to the reports on those employees,” Wijewardene said. “The action had been initiated on the basis of recommendations by a Special Investigation Committee appointed to look into the incidents pertaining to a brawl that took place at the Sri Lanka Rupavahini Corporation on October 26, last year,” the minister further said. Responding to a series of questions raised by JVP leader Anura Kumara Dissanayake on the previous day, the Minister said that he would not agree with interpreting the transfers effected on the needs of services in institutions as political with-hunting or taking political revenge. Budget 2019 has laid out a very clear focus on growing the economy creating jobs and making the economy more competitive and enterprising and it builds on the budget of 2018 and the vision 2025 plan, said the Minister of Development Strategies and Trade Malik Samarawickrama, adding that his ministry has been playing a key role in driving important aspects of this agenda, particularly trade, investments and exports. Joining the Committee Stage debate in parliament yesterday when the expenditure heads of the Ministry of Development Strategies and International Trade and the Ministry of National Integration, Official Languages , Social Progress and Hindu Religious Affairs was taken up, he said The Board of Investment, Export Development Board and the Import Export Control Department come under the purview of the Ministry of Development Strategies and Trade. ·He said it was noteworthy that for the first time in our history monthly merchandise exports has topped US$ 1 billion every month for the past six months. ·Strong performance is evident in some of the ‘focus sectors’ identified under the new National Export Strategy; notably, electronics and electrical components exports that increased by 16.2% and food and beverage exports by 22.6%. ·The apparel sector that accounts for 33% of total exports recorded 100% of the target of US$ 5.3 bn during 2018. New orders from the EU were secured as a result of the GSP+ benefit. ·By export market, earnings in our two most important regions of USA and Europe have increased steadily by 5.65% and 5.15% respectively. Within the EU region, important markets like Germany, Italy and Netherlands have shown robust growth of 14%,9%, and 17% respectively. ·In Japan, where we have embarked on a renewed focus following our trade and investment mission last year, our exports grew by a robust 9% in 2018. ·It is particularly noteworthy that exports to the South Asian region have grown substantially, by 10%, to reach US$ 1,097 Million, driven in large part by exports to India that grew by 11.35% from US$ 689.4 Million in 2017 to US$ 767.6 Million during the year 2018. Minister Samarawickrama noted that the Ministry of Development Strategies and International Trade is implementing several initiatives that are improving the competitiveness of Sri Lanka’s domestic enterprises by providing them with supportive policies and strategies, financial and technical support, and enabling infrastructure. “Many of the initiatives that we have been, and are, championing are things that had been postponed in Sri Lanka for nearly two decades, and was urgently needed to place us firmly on a more sustained and competitive growth path. These initiatives won’t bear fruit in a month or a year, but would have lasting positive impacts on the economic trajectory of this country,” he added. The Minister noted that the National Export Strategy 2018-2022, which has been in implementation since its launch in July 2018, is progressing well, anchored to the plans of action of 6 sectors and 3 trade support functions. The NES is a carefully structured five-year strategy with active public and private stakeholder participation aimed at increasing export revenue to US$ 28 billion by 2022. “In 2018 the EDB launched a flagship programme to make trade more inclusive across our country. We are conscious that the export-oriented sector in Sri Lanka is not as widespread as it could be, and so we have embarked on an island wide program to foster new exporters. The ‘2000 Exporters’ program will incubate a whole generation of new exporters in this country, and make the gains of international trade more inclusive. Entrepreneurs and aspiring exporters from all parts of the country are being helped through this programme, which will cover a new district each month. Already programmes have been conducted for over 2500 entrepreneurs in Jaffna, Kandy, Kurunegala, Matara, Anuradhapura and Vavuniya. In addition, a “Women Entrepreneur Development” Programme to transform them into exporters is also being implemented. This year we will also include specialized sector-wise development programs based on needs in each district, and also hold private-public dialogues on trade policy matters with the business leaders in the provinces,” Samarawickrama said. He said that the BOI has also focussed on promoting re-investment and a dedicated group for this purpose was established with the mandate of encouraging existing investors to reinvest, expand or upgrade their businesses through facilitating and solving their bottlenecks. Further, this group also entrusted with identifying new potential investors through existing investors’ channels. The Ministry of Development Strategies and International Trade (MODSIT) has also set up ‘Sector Expert Teams’ comprising officers of the BOI and the EDB to work on promoting investments to these identified sectors thereby to increase the exports, in a systematic and focused manner. These sectors include Electrical & Electronics (Solar & Insulated Wires), Automotive Components, Food Products, Ships & Boats, Tourism, IT/BPO, Medical Devices & Pharmaceuticals, Mineral Products and Export of Services (Logistics). These Groups are in the final stages of preparation of Promotional materials. As a result, he said 13 investors have already informed the BOI that they intend investing in Bingiriya which will cover the entire Phase-1 and will provide employment to 12,000. The investment value will be over USD 150 million. Outlining the key new initiative in 2019, he said the ‘Trade Adjustment Programme’, he said in order to ensure that our domestic private sector has a meaningful mechanism to adapt to a more liberalized trade regime, the government has prepared a ‘Trade Adjustment Programme’ for the first time in Sri Lanka. It received Cabinet approval earlier this month, and will commence implementation under our Ministry in close cooperation with the Ministry of Finance. “All of the initiatives that our Ministry is implementing are things that benefit the many and not the few; making the economy better for the vast majority of enterprises and entrepreneurs, not the few crony capitalists who succeed based on patronage or a parasitic relationship with the state. These initiatives will usher in - and arguably is already ushering in - a new era of private enterprise-driven dynamism for our country, reversing the anti- export bias and a growth model heavily reliant on government spending that we had seen over the last decades, and now know is not sustainable or successful. Our objective is to take our country to the next level and improve the living standards of all our people, and to do so, I seek the cooperation of all Members of the House,” said Minister Samarawickrama calling on all members of the House to keep petty party politics aside and work together to build our nation. Cabinet approval has been granted to declare April 15 as a government holiday. The Home Affairs Minister has tabled a proposal to declare April 15, 16 and 17 as New Year holidays since April 13 and April 14 falls on the weekend. However, President Maithripala Sirisena has inquired after the possibility of declaring three days as government holidays. Accordingly, April 15 has been given approval to be declared as a government holiday. The Cabinet meeting was held in Parliament yesterday chaired by President Maithripala Sirisena. One thousand two hundered and seventy six officials at the Board of Investments (BOI) have obtained Rs.512 million in redundant salaries in 2018 by violating the Board of Investment Law and the Public Enterprise Circular, Janatha Vimukthi Peramuna (JVP) MP Sunil Handunnetti yesterday revealed in Parliament. Handunnetti made this revelation during the Committee Stage debate of the Appropriation Bill 2019 on Expenditure Heads of Ministry of Development Strategies and International Trade and the Ministry of National Integration, Official Languages, Social Progress and Hindu Religious Affairs. Accordingly, one officer at the BOI has obtained an average of Rs.400,000 per year redundant to the salary and the approval of the relevant minister has not been received for that, he added. “1276 officials are currently working at the BOI. They have created 07 types of allowances for them. This is against the Public Enterprise Circular. According to the BOI Law, the Minister’s approval should be obtained to take any type of allowance. Even the approval of the relevant Minister has not been taken for this. I know the Minister does not even know this. Sri Lanka hardly receives investments at the moment. In a backdrop like that, it is not fair to pay BOI officials allowances like this.” Handunnetti said. In response, Deputy Minister of Development Strategies and International Trade Nalin Bandara said that the current government has not given allowances to the BOI officials. “We did not cut the allowances they were receiving before we come to the power,” Bandara in reply said. “Then it is also wrong. This means that your government also practices the same wrong principles the former government followed.” Handunnetti retorted. “I think you should do a research into this. Because investors come for establish long term entities. If they withdraw investments within a short period of time then there must be some specific reason behind that. You should find out what it is.” Handunnetti said in reply. Samarawickrama replied that the lease agreement for the land will be signed on Thursday (04). There are around 6000 vacancies for qualified teachers to teach secondary languages Island wide, National Integration, Official Languages, Social Progress and Hindu Religious Affairs Minister Mano Ganesan said in Parliament yesterday. Joining the Committee Stage Debate of the Appropriation Bill 2019 on the Ministry of Development Strategies and International Trade and the Ministry of National Integration, Official Languages, Social Progress and Hindu Religious Affairs, Ganesan said that his ministry is collaborating with the Education Ministry to recruit more teachers to teach secondary languages at the moment. “As a first step, we plan to recruit 1000 language teachers. Today, we can see that the youth in both the North and South are very keen on learning their secondary languages which are Sinhala and Tamil. We should create more opportunities for them to enhance their secondary language skills,” the Minister said. He pointed out that implementing the National Language Policy is the key to solve the national problem permanently. “The Politicians say many things about this. But the truth is, the youth in the North like to learn Sinhala and the youth in the South want to learn Tamil. If they have a better understanding about each other’s language we can avoid so many unnecessary problems between the two communities,” he added. Another initiative by the Ministry of National Integration, Official Languages, Social Progress and Hindu Religious Affairs to promote language skills is titled ‘if you know teach, if you don’t know, learn’. Accordingly, there are 1820 teachers, 9195 students and 778 schools are engaged in this programme. The present government has failed to attract significant foreign investments to the country for the last four years, Hambantota UPFA MP Namal Rajapaksa yesterday said. “The economic gurus in this government have failed to perform as they boasted at the beginning,” MP Rajapaksa said. Joining the Committee Stage debate on the Expenditure Heads of the Ministry of Development Strategies and International Trade and the Ministry of National Integration, Official Languages, Social Progress and Hindu Religious Affairs, MP Namal Rajapaksa pointed out that the government is misleading the public by fictive assertions that it has attracted foreign investments worth billions of dollars into the country for the last four years. Contrary to the government’s claims, it has not been able to attract foreign investments worth 20 million Dollars in 2017 the least, Rajapaksa further said. “When this government sought a mandate, they boasted about attracting investments worth billions of dollars. But what they said and what happened are entirely the opposite. When they came to power, they said the economic growth rate will soar high as 8.0. However, the CBSL Governor recently said that our economic growth is only between 3.1% - 3.2%,” MP Rajapaksa said. Speaking on the investor selected by the government for the Hambantota Mirijjawila cement factory, MP Namal Rajapaksa said the present government earlier alleged that the same investor possesses black money belonging to Rajapaksas. When MP Rajapaksa alleged that the government does not have an Environmental Impact Assessment report for the Mirijjawila oil refinery, Deputy Minister Nalin Bandara rose to point out that the report is presently under preparation.